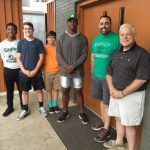 The EHS Wrestling Team spent an afternoon helping support their community gathering donations for the Shine Kitchen at the Dream Center. As a team, the grapplers collected and donated 25 tubs of butter and 21 gallons of milk to the Shine Kitchen. EHS Junior Wrestler, Caleb Hill, lost to eventual state champion, Seth Hamm of Lugoff-Elgin HS, in the closing seconds of their semi-final match on Friday night. 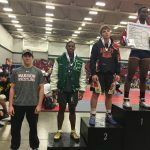 However, Caleb bounced back to win the consolation match and finish #3 in the State Finals. Congratulations Caleb! 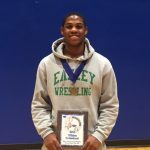 The EHS Wrestling Team finished in second place at the Devil Dog Invitational over the weekend. The Green Wave finished the day with a 4-1 record. 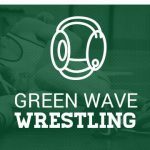 The Green Wave Wrestling Team split a Region 1 match at home on Wednesday evening. EHS defeated Westside 48-30 while falling to TL Hanna 30-50. 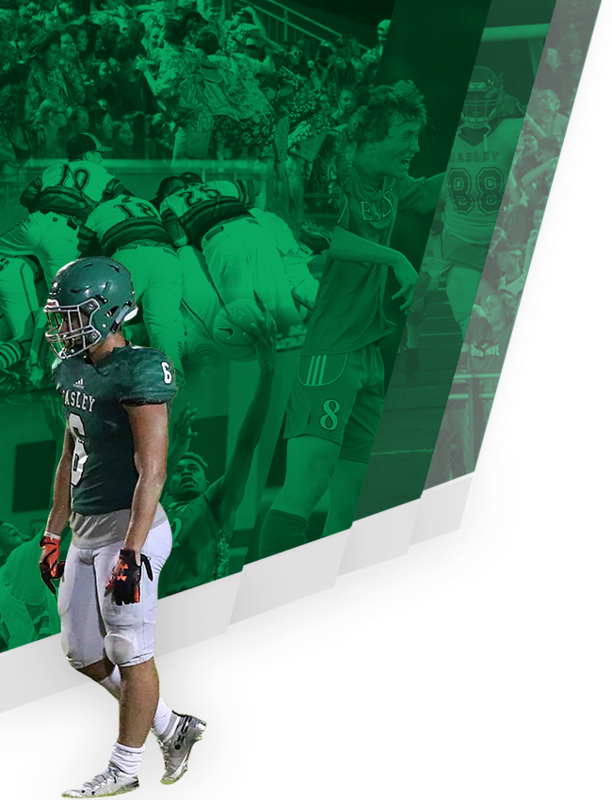 Easley is now 1-1 in Region competition. 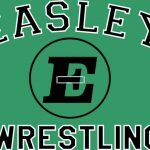 For the first time in 10 years, EHS wrestling defeated Pickens 36-31. 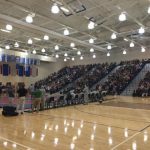 This was an in-school contest at Pickens that boasted the largest wrestling crowd attendance in the history of Pickens County. EHS will be back in action tonight at home hosting Region 1 foes TL Hanna and Westside beginning at 6:00 PM. The EHS Wrestling Team took care of business on Wednesday night at home as they beat Wren 48-32 and JL Mann 41-33. 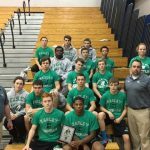 The Green Wave will be back in action on Saturday as they travel to compete in the Liberty HS Varsity Tournament. 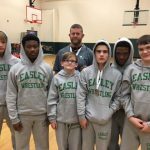 The EHS Wrestling Team had a convincing win, in their first home match of the season, by the score of 53-25 over Carolina High School. 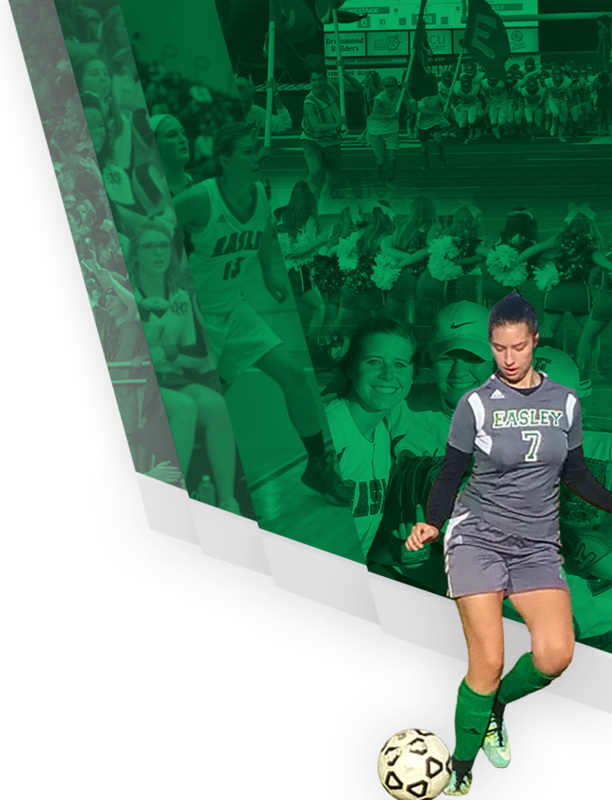 The next home match for the Green Wave will be Wednesday night, December 16, as they host a quad match with a 6:00 PM start time. The 2015-2016 Varsity Wrestling Schedule is now online. Check it out under the winter sports tab.